exhibition history: "Changing Victorian Row," Storefront Musuem, May 4 - June 24, 1983. Shoes. Description: Group VIII. 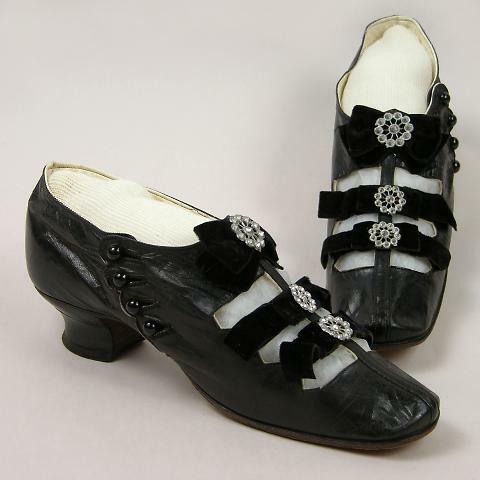 Woman's dress shoes, black with ribbon, rhinestone & button details. Size 3 1/2. History: See 73.132.1a-ccc. From Maynard-Jones Shoe Shop, San Francisco.